When booking my trip to West Virginia, I had no idea what I was getting myself into. Adventures on the Gorge has world class rapids, a tree-top zip line canopy tour, and rock climbing, amongst other outdoor activities. I love a good adventure, but after scouring through nail-biting Youtube compilations of sixty-foot falls from sheer rock cliffs and boats flipping savagely off Pillow Rock, my excitement was marred with apprehension. Nonetheless, I packed my bags and prepared for whatever came. Celebrating 50 years since its birth, the Summersville Dam provides a controlled 2,800cfs to kayakers, rafters and daredevils alike. I found it funny to learn that Dams are typically named after the nearest town, but seeing as in this case the nearest town is “Gad”, the next town over seemed more suitable. West Virginia has no shortage of magnificent rolling hills and wild running rivers and so we took the opportunity to warm up on the New River before hitting the Beast of the East for some class 3 rapids. 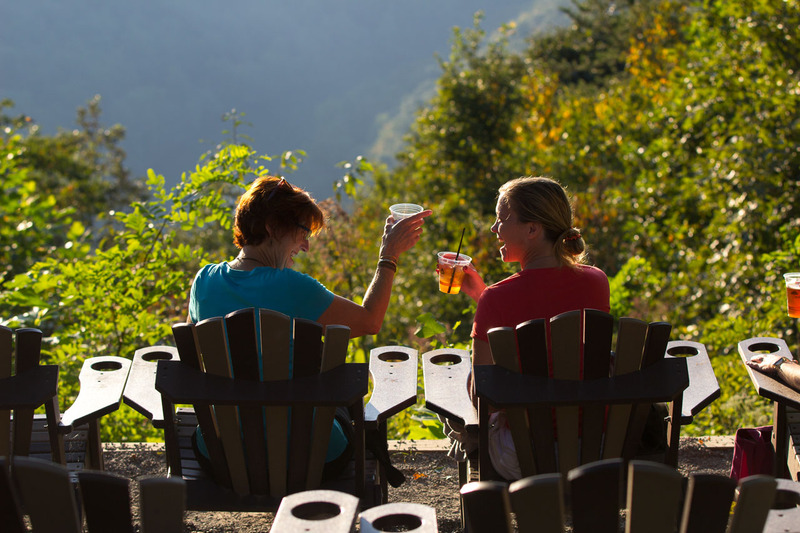 From start to finish, we completed eight miles before our take-out point right below the New River Gorge Bridge. 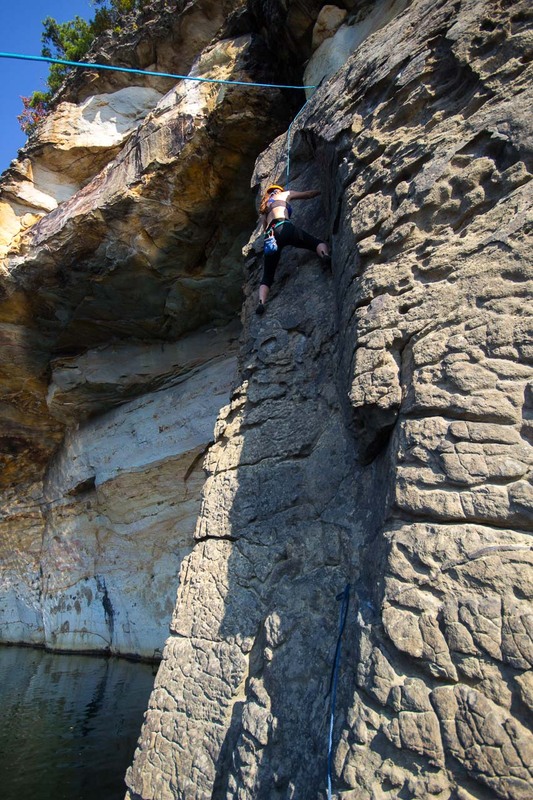 World class rock-climbing and deep water soloing with ratings from beginner To 5.14 on Summersville Lake is the perfect way to escape the Summer heat. We were fortunate enough to rock climb right off a boat the day before the Summersville Dam was released, draining West Virginia’s largest lake and bringing in the 2016 Gauley Season. Toby Wood, Reservoir Manager is the man with the plan. Through a series of calculated adjustments each hour and a hefty set of keys, the dam is released. With thousands of lives at the mercy of the lake this is a dam important job. 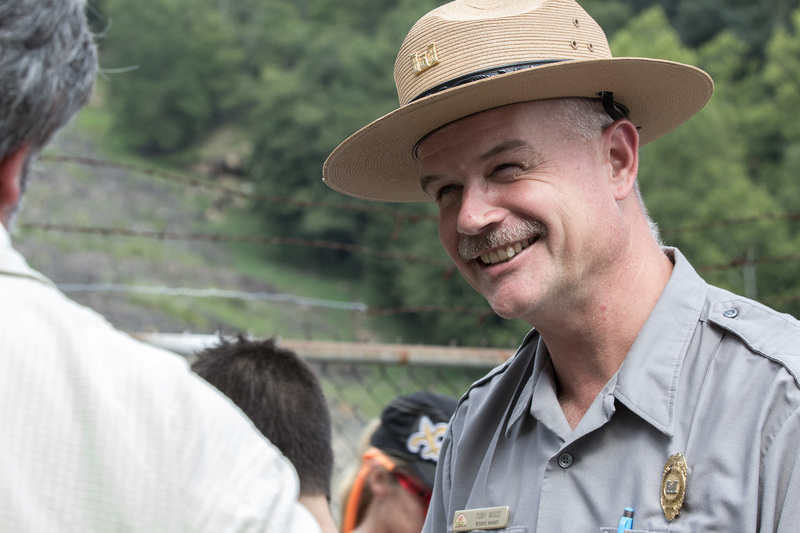 As quickly as my apprehension for the Gauley came, it went as our guide turned out to be a total badass. 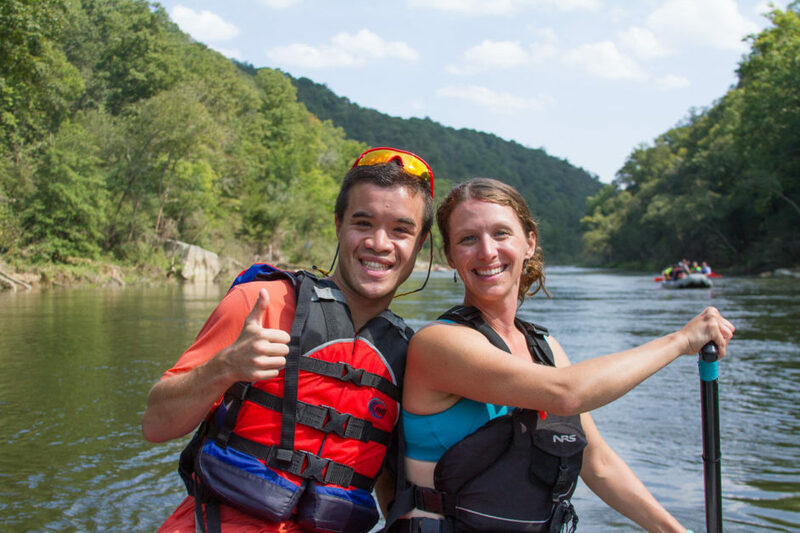 Meet Jo-Beth Stamm, one of six members of the all-female rafting team out of Fayetteville, WV. who call themselves, the “Sweets of the East”. 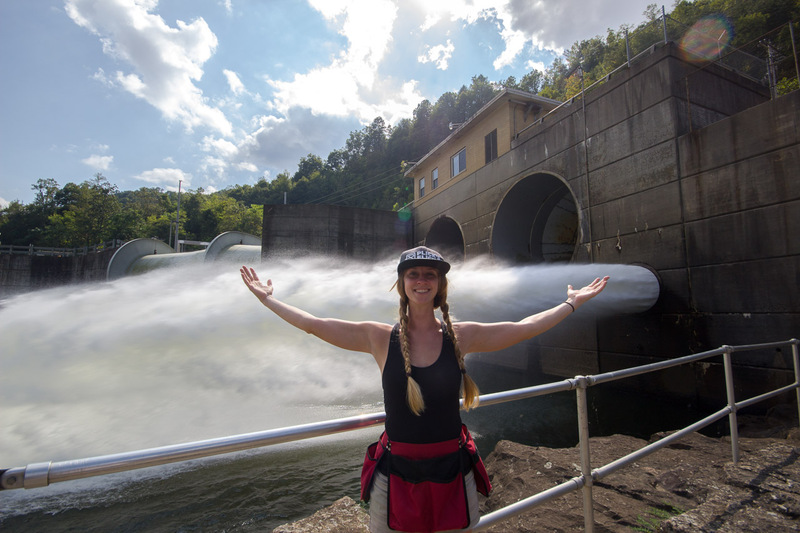 Competing for team USA at Worlds, being just a fragment of her resume, Jo-Beth has rafted the Gauley River 1,000 times and compares opening day to Christmas morning. 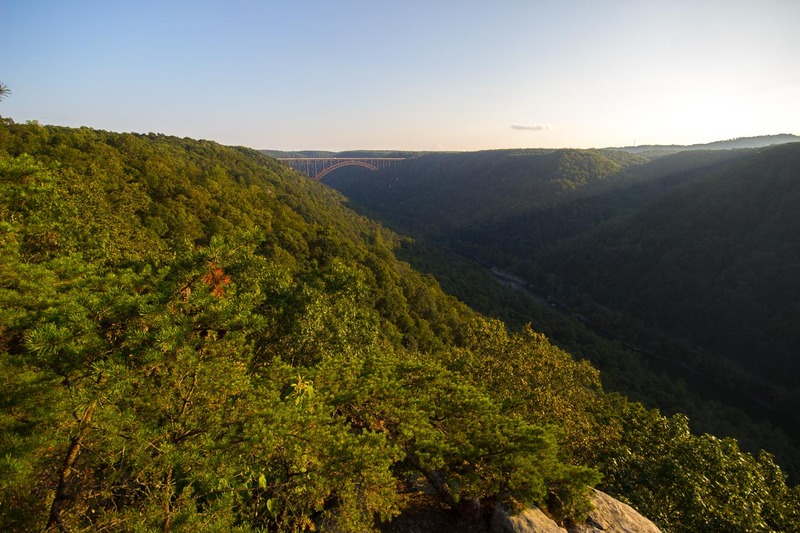 The New River Gorge Bridge is the third longest steel arch bridge in America at 3,030ft long and 876ft above the New River. Aside from offering me a gorgeous lookout to enjoy a cold IPA after a long day rafting, it attracts adventurers who want to take a walk on its suspended catwalk that runs below the bridge as well as BASE and bungee jumpers. 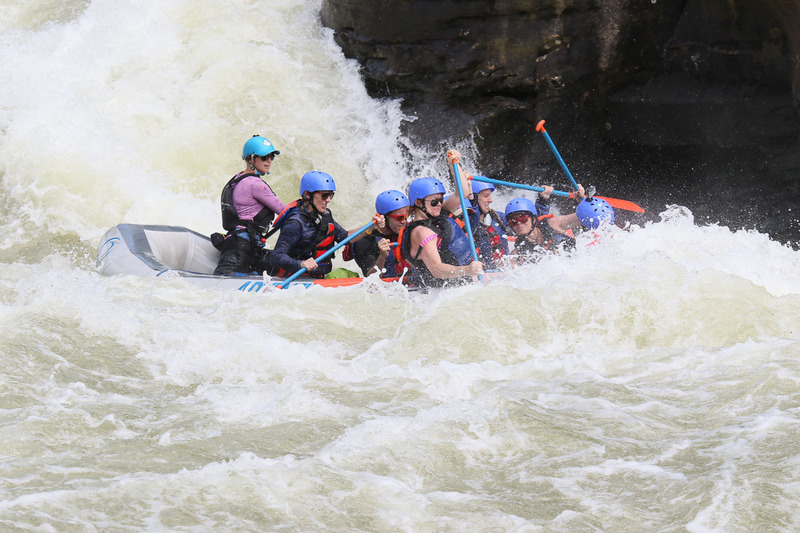 Pillow Rock is one of Upper Gauley’s five Class 5 Rapids (and the one I’d watched so many wipe-out videos of). 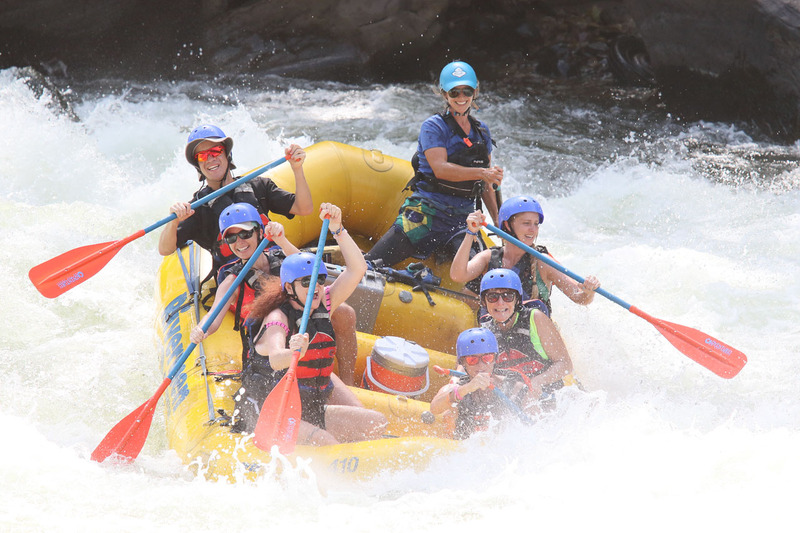 The thrill of a lifetime, it did not disappoint as we narrowly made our way through roaring rapids and giant rocks. Part of the overnight experience halfway through 26 miles of the Gauley River, we stopped and set up camp at “Canyon Doors”. With pear infused prime rib and venison sliders with caramelized onion Cajun mayo on the menu, I had to remind myself that I was enjoying the best meal of my life in the middle of the woods with no electricity or running water. 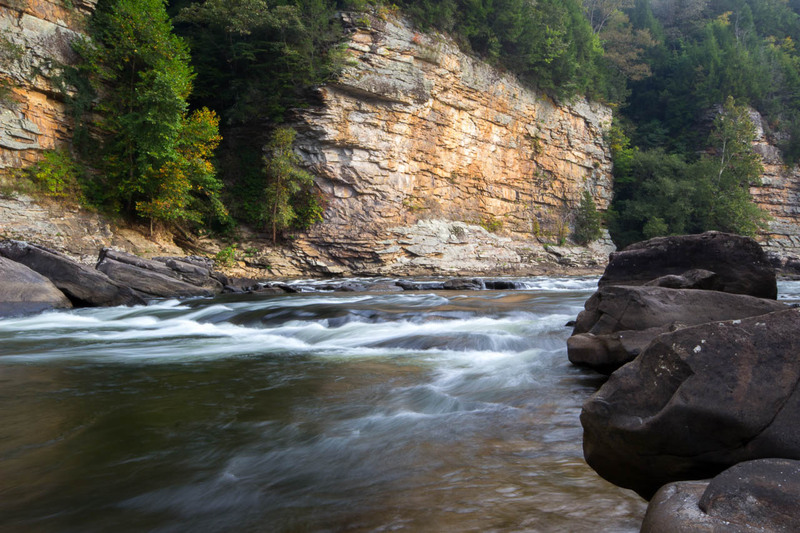 Canyon Doors, a rapid on the Lower Gauley and home of the Overnight Camp of “Adventures on the Gorge” is a stunning place to wake up in. From a flat rock on the river bend, I observed the water level rise, covering protruding rocks and filling the river enough so that we could embark on Day 2 of rafting the Gauley. I found the essence of West Virginia in the pure bliss of being outdoors. 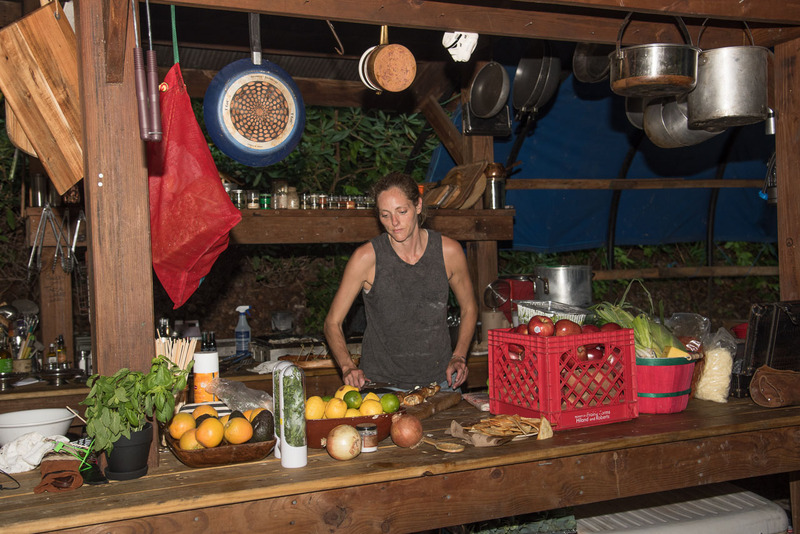 Many here live to be fully immersed in the natural world and the adventurous opportunities it offers them.